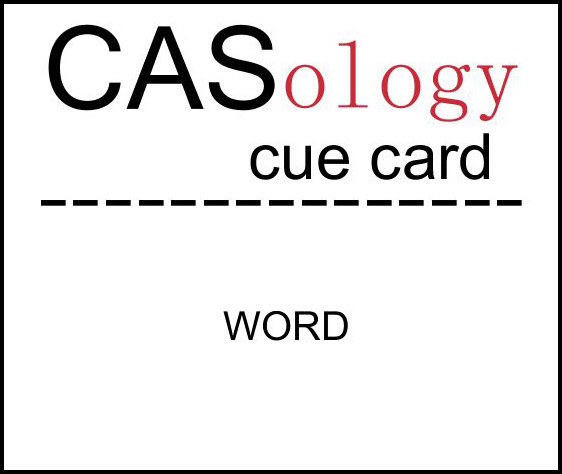 Today's CASology Cue Card is Word! You can make your card by focussing on a word (or words), like I did here, or you can take the challenge to another level and play a word game with your card. This is completely optional, and if you do choose to play like this, you can choose any word you like to build on. So now it's your turn - give us the word! But before you head off, drop by the blogs of the other DT members and see where word took them! Love how you interpreted word. Fabulous design. Great idea! Love the stacked letters and the bright pops of color. I feel your pain when photographing white on white...which tends to create grey! If you happen upon a magical soluttion, please do share it with us! Love the sparkly white on white, and how those balloons appear to be lifting the letter "I". Love the alignment of the three elements, too - very pleasing on the eye. Well, both eyes, actually. What a clever idea! I love the white on white! Great dimension! Another great card, Ardyth! Love how you interpreted the cue word. What a great idea. A very "Ardyth" card! I really love this card and everyone you create! 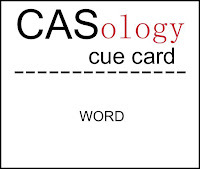 The acronym idea for this week's cue card is genius! so cute!! love those tiny little balloons holding up your sentiment! another fabulous card, ardyth! and I love how you provided some alternate inspiration! This is so cute! I love those balloons!! Fabulous! Love that the birthday is at an angle. The balloons are the cutest!! Sweet card! Fabulous pop of color! oh...this is such a fun and festive card and your balloons are so cute! All that thought that went into the design... brilliant and a fabulous card too !! Such a gorgeous card, Ardyth! I love your play on words for your title...so clever and so beautifully done! Ardyth love your cheery birthday card. Great tip to staack the die cuts! 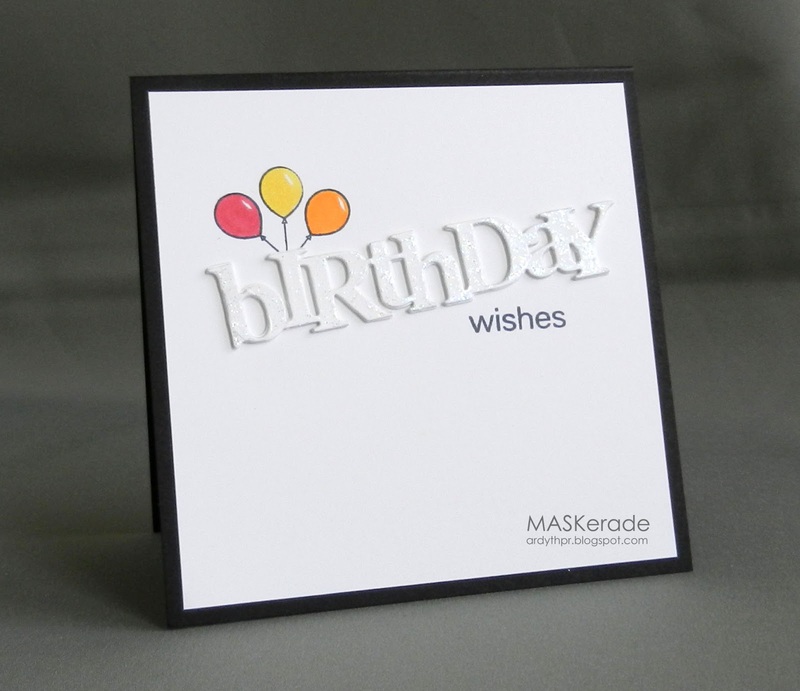 Awesome take on the cue word and is that sparkle on the birthday? Ardyth, another awesome card! Seems we all leaned toward using die cut sentiments (at least in part), and I love how you stacked them for some depth. Love! Holy moly, how do you think of these things?! The card recipient will have NO IDEA of the origin of their card. Love how your black outlined balloons balance your black sentiment! A perfect angle with the balloons lifting up the word ~ a classic Ardyth original ~ love it! Love the white-on-white look--so classy! Cool interpretation of the challenge. Love the glitter die cut!